Maglev trains have been promised as the future of public transport since about forever, but high-speed magnetic levitation systems are rapidly gaining a serious reputation — something Japan's public demonstration of its high-speed maglev system is only going to help. The test was carried out by the Central Japan Railway Company, and was the first public demonstration of the 500kmph high-speed link that will eventually run between Tokyo and Nagoya, with service expected in 2027. 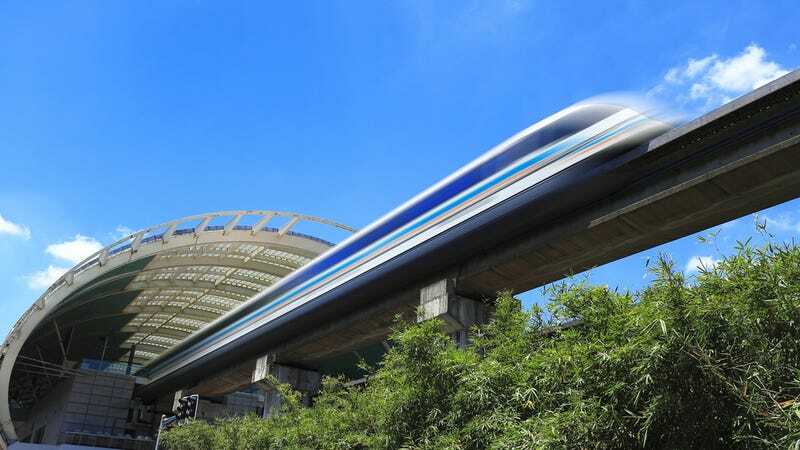 The test was a demonstration of 'L-Zero' tech, which brings trains to an initial speed of 160kmph, before engaging the maglev system, which slowly brings the train up to the slightly scary 500kmph top speed.